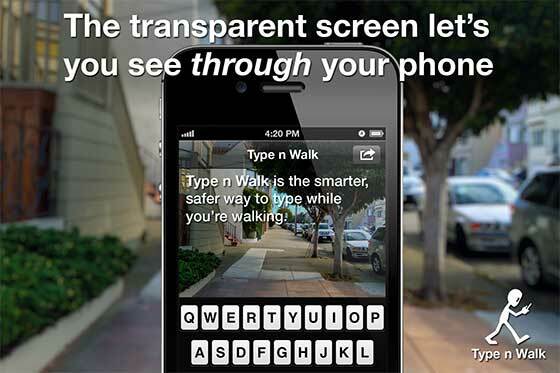 Type n Walk displays a transparent viewport of what's directly in front of you. This combined with your peripheral vision is just enough visual information to help you avoid obstacles -- like walking face-first into a tree! 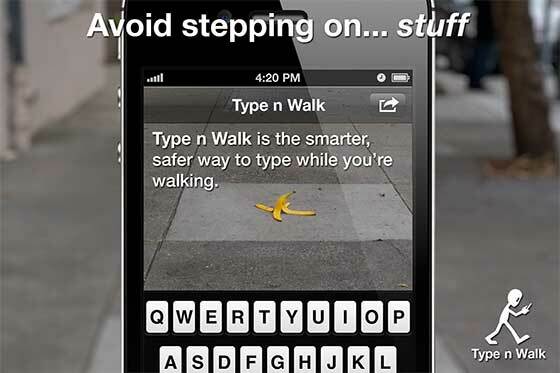 Despite the name, Type n Walk is useful while you're sitting or standing too. Use it anytime you would like to keep an eye on your surroundings while you type. Be smart. Be safe. Buy it now! You have to see it in motion to really get an idea of how Type n Walk works. If you know someone who would love this app, let them know about it! Q: Why don't I see anything in the 'viewport' but a black screen? A: Make sure your fingers (or protective case) aren't blocking the front camera. Q: Is Type n Walk available on my platform (i.e. iOS, Android, Windows Phone, BlackBerry)? 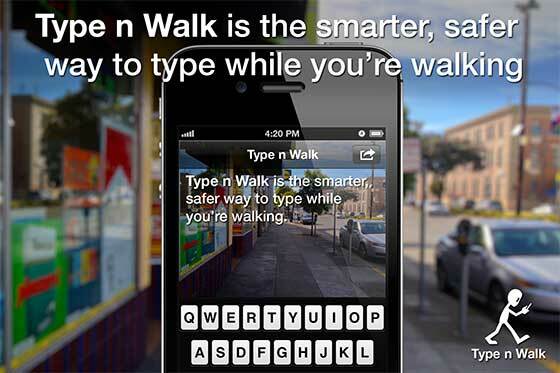 A: Type n Walk is presently only available on iOS (iPhone). 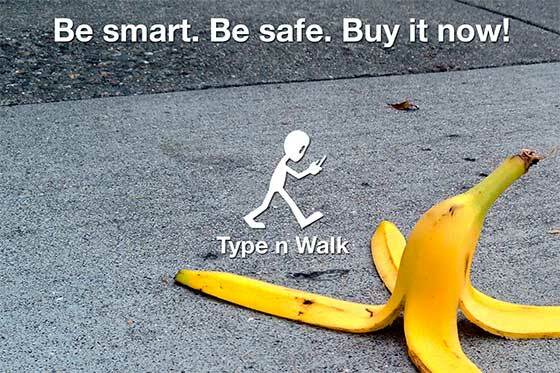 If you find Type n Walk on another platform, it is an unlicensed knock-off or even possibly a scam app containing malware. Be careful. Type n Walk is only available here. Please read our FAQ to see if your question might have been answered already. If you don't find the answers to your questions in the FAQ, please don't hesitate to contact us. Copyright © 2009 - 2012 CGactive LLC. All Rights Reserved.